Track Interval Training is a program designed to improve cardiovascular fitness, aerobic capacity, running speed, muscular strength and endurance, and even a bit of coordination. Suzanne's Track Interval Training has been the leading performance training program for locals for years. Her course is designed for all abilities to improve fitness and performance, boost metabolism and caloric expenditure, improve muscle tone, enhance weight loss and build confidence. All which add up to measurable improvements. Begin each workout with a thorough warm-up routine to fully prepare for the workout ahead. Next is a guided and structured workout which includes measured increments (intervals) of either minutes or meters around the track followed by easy recovery between. The duration of each interval varies and progresses week by week. Volume is individualized based on personal goals and ability. As a physiologist, Suzanne will prescribe specific paces or intensities for each participant, honing in on meeting your personal goals. Whether you are a walker, new to running, or a seasoned athlete working to improve performance, your intervals will be adjusted and paced to fit you and your current ability. 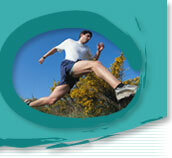 This may include running intervals for speed or walk/run intervals for health and fitness. Finish each workout with an easy cool down walk or jog for recovery followed by stretches for improved flexibility. Regardless of your current fitness level, your health status, your weight, whether you are a runner, a walker, or are completely out of shape, including some type of interval (short bursts) training in your week every week can provide tremendous health and fitness benefits and can far exceed easy, long, slow endurance exercise especially on machines. Come out and join the group and get in the shape of your life. Now is the time! *Select the dates that you can attend. and the group size. Group size limited for high personal attention.